An Indiana-based nonprofit is recycling Amtrak's old leather train seats into thousands of bags and backpacks. WASHINGTON — When Amtrak started refurbishing its Acela train interiors earlier this year, it said its old leather seats would be recycled. Months later, they’re in the hands of an Indianapolis-based nonprofit that seeks to turn them into handbags and backpacks. People for Urban Progress, an organization that salvages discarded materials and turns them into new products, expects to spend the next year turning leather seat covers from 20 Acela trains into about 2,500 bags. It is the organization’s first project with a national scope. 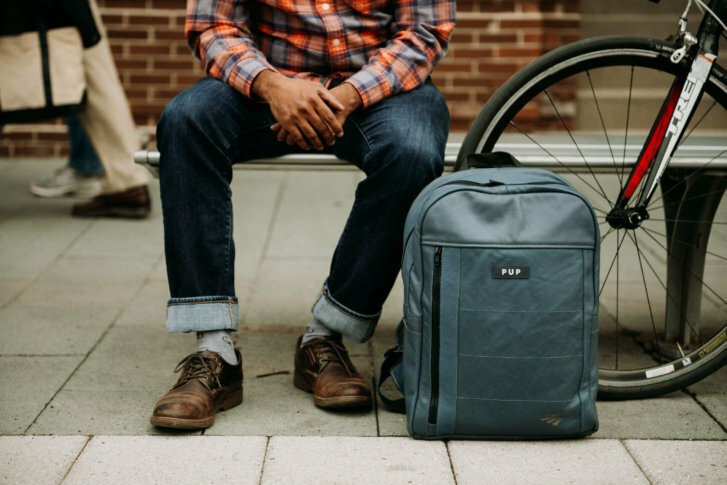 “This is an exciting opportunity for us to showcase the work we do to remake waste, and create change, through the creation of our products,” said Andrea Cowley, executive director at People for Urban Progress. “Collaborations like this allow us to continue to advance the idea of taking careful consideration of how we recycle our cities’ resources,” she said. People for Urban Progress’ main objective with the heaps of leather covers donated by Amtrak is to divert as much waste as possible from landfills. People for Urban Progress’ past projects have included recycling the roof of the RCA Dome, the former home of the Indianapolis Colts, into wallets, handbags and office bins, turning old baseball stadium seats into bus stops and public seating around Indianapolis, and making messenger bags out of promotional banners and materials from the annual tabletop game convention Gen Con. The “Amtrak Collection” retails for $75 to $385 and includes backpacks, totes and toiletry bags. Amtrak is spending $4 million to update interiors of 100 Acela cars, including almost 6,100 seats. The refurbishing of current Acela train interiors is in advance of its new Acela trains, which it will start introducing into service by 2021.